There are various types of home and business security cameras on the market and the best option for you will all depend on the budget you have available, how and when you want to view the footage and the features you would like the system to have. 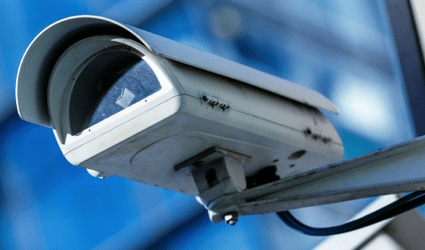 In our latest post, we discuss the various types of CCTV cameras on the market so you can invest in a security system that is tailored to suit you. Whilst wired cameras used to be the most popular type of system on the market, their wires, including extension cables and connectors can make installation more difficult. With more and more technology being developed, wireless CCTV systems have become increasingly popular for installation outside. It is not advised to have a wireless camera inside of your home unless the signal can be encrypted, as anyone within range that has access to a suitable receiver would be able to see the images. Wireless CCTV systems can transmit images to your phone, tablet or computer, giving you ease of access to the footage. Additionally, many wireless systems connect to their own app, making viewing any footage simple, even when you’re on the move. When investing in a wireless camera, you should be aware that recording may be interrupted should your internet connection fail. CCTV cameras that use your IP (Internet Portal) will be able to send images through your computer’s router, meaning you can access images from your security cameras over the internet wherever you are located. Should you ever need to use the footage captured from your CCTC in court, you‘ll want to make sure that the images are of good quality. The quality of the image produced by a CCTV camera will be affected by many things, including the resolution of the camera, the size of the chip the camera uses and lux (light sensitivity). Here at Wilson Alarm Systems, we supply and fit a wide range of CCTV cameras from major brands including Vantage, Bosch, Genie, Dennard and Samsung. Whether you are looking for security systems for your home or business, our trusted team can provide tailored solutions that suit your requirements. Call us today on 0116 245 3030 or send your enquiry through to our online contact form and we’ll be in touch shortly.